The surprise off-tank swap could have ramifications for both teams. The Overwatch League is full of swaps, drops, and switches today. 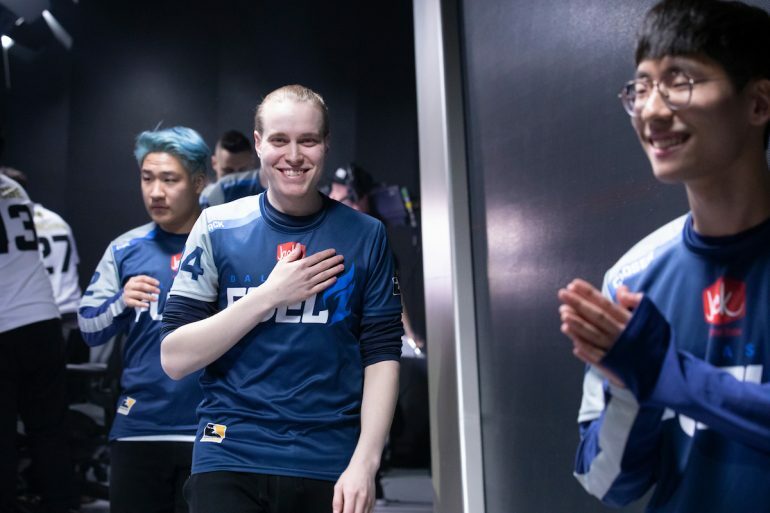 In a surprise trade, the Dallas Fuel and Boston Uprising have swapped starting off-tank players. Boston’s Lucas “NotE” Meissner will be joining the Dallas Fuel in exchange for Richard “rCk” Kanerva. Both players are D.Va and Zarya experts who have served their teams well in stage one. NotE has been a part of the Boston Uprising since the inaugural season of the Overwatch League. The Dallas Fuel signed rCk before the beginning of the current season. This isn’t the only big change the Fuel made today; they also released Christian “cocco” Jonsson as assistant coach. In acquiring NotE, the Dallas Fuel gain an experienced off-tank who has been a starting player for the Boston Uprising for a full season. NotE is a former member of Toronto Esports and was the off-tank for Team Canada during the Overwatch World Cup 2018. NotE was a key part of the Boston Uprising’s historic win streak last season, in which they went undefeated for an entire stage. The Boston Uprising will also have a formidable off-tank in rCk. He previously played for Team Gigantti. Team Gigantti is a successful European Overwatch Contenders team that claims numerous Overwatch League players as alumni, including Jiri “LiNkzr” Masalin (Houston Outlaws) and Benjamin “BigG00se” Isohanni (Los Angeles Gladiators). Time will tell how each of these players will fit into their new teams, especially on such short notice. Stage two of the Overwatch League begins April 4. The Boston Uprising face the Atlanta Reign at 7:45PM CT on April 4 while the Dallas Fuel have a bye week to get adjusted.